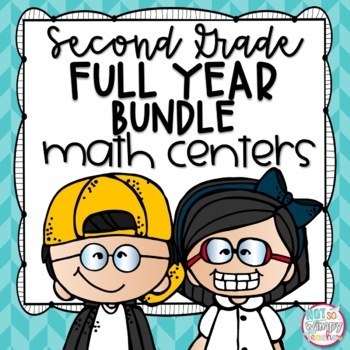 This 2nd grade bundle includes hands-on and engaging math centers for the entire year!!! You will be getting a total of 90 math centers! 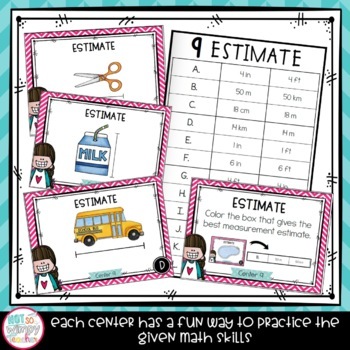 Each set of centers has the same format, so students will learn the expectations and procedures and then be able to complete centers for the entire year without many new directions. The centers are engaging and include sorts, task cards, math writing, color coding, matching, etc. Each set of centers has a recording book that students use for all 10 centers in that unit. This resource was created in collaboration by Third Grade Pad and Not So Wimpy Teacher. Creating this resource as a team helped us to increase the quality of the math centers! Centers are included in color and black line for your convenience. JUST ADDED! 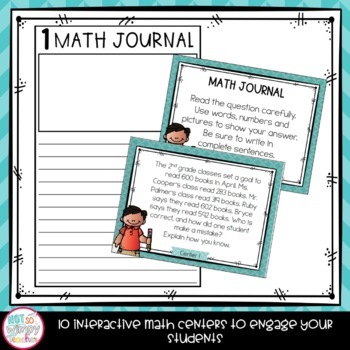 This bundle now includes a 40 page document with math center tips, schedules, posters and labels! Looking for these centers for another grade level?